In a deeply moving statement, a message of goodwill was sent by a team of mountaineers who themselves are stuck on K2 due to extremely harsh weather for their mountaineer friends on Nanga Parbat. 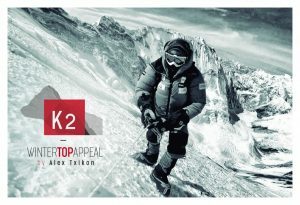 This winter, unlike on PakPeak K2, where two highly skilled teams are present there is only one on Nanga Parbat. The expedition teams consists of two Pakistani and two European mountaineers along with a support team of 75 local porters. First winter ascent of Nanga Parbat was done in 2016.Team included mountaineers Alex, Simone More and Ali Sadpapara. This time team will be trying to open a new route on Nanga Parbat, which it has named as ‘Mummery’. Team Nanga Parbat comprises of two Pakistanis including Rehmatullah with experience of PakPeak Gasherbrum-I and PakPeak Gasherbrum-II. Karim who scaled PakPeak Broad Peak is also in team. The European team included Thomas Ballard who is he son of famous British female mountaineer Alison Hargreaves, who died on August 13, 1995 while descending from the summit of K2. The second Euorpean on Nanga Parbat is Nardi who is is a seasoned mountaineer and had visited Pakistan more than 12 times.He had already scaled several peaks, including Mount Everest, PakPeak K2 and PakPeak Nanga Parbat. It will take at least two months to complete their voyage. Any one trying to climb an 8,000-meter have to negotiate with wind gusts of over 40mph/65kph. Such winds are capable to knock off the climbers from the mountain’s slope. Please, give, our regards to the guys Daniel and Tom Ballard, who are on Nanga Parbat. They are in more difficult situation than we have here. We all wish the mountaineers on both the PakPeaks successful summits and safe returns.